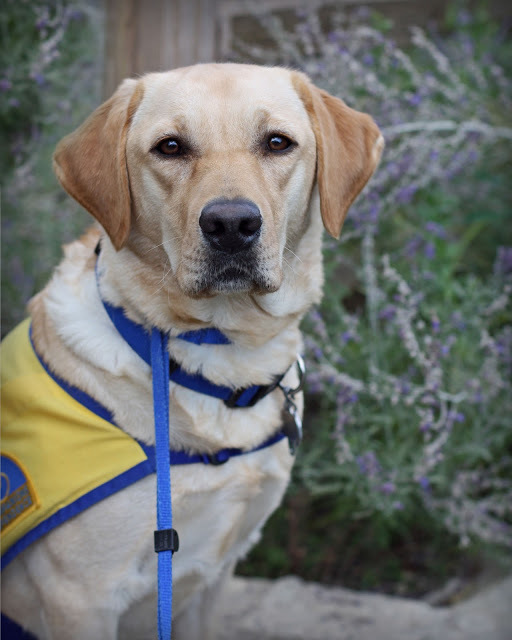 Advanced Training program to be an assistance dog. Ah, I love this bit of profundity. A worthy life goal courtesy of the ever prolific Anonymous. This has hit a chord with me and many other volunteer puppy raisers for Canine Companions for Independence this week. Puppy raisers will be turning in their charges this week, the pups they've raised for the past fourteen to sixteen months. And many of these same folk will also be picking up their next CCI pup to raise. Jorja's puppy raisers are two of those folk. After the good bye hugs and a few tears, Jerry and Jerri will pick up Emma to raise next. Their nineteenth puppy to raise for CCI. Kind of like the circle of life, but with more dog hair on your clothes. What a great thing to give your heart to a dog and then give it to someone who really needs it. That is one of my absolutely favorite quotes! And sending hugs to those who will be missing puppies this week. Even though it's for a great cause, it still isn't easy!